1 energy bill out of 10 contains anomalies or errors – Is your business being overcharged? Understanding one’s energy bill is not exactly a straightforward affair, so sometimes errors can slip through. Leading Edge Energy encounters some type of anomaly in 1 out of every 10 energy bill we come across thus resulting in an overcharged electricity bill. But if you know what you are looking for, you can actually make some substantial savings by correcting any errors. You have a bundled invoice if you’re considered to be a Small Market consumer, that is, if your energy plan is for a residence or Small and Medium Enterprise (SME). However, if you are running an energy-intensive business, you’re supposed to be getting Commercial & Industrial (C&I) rates in an unbundled invoice since you’re what is considered to be a Large Market consumer. Bundled invoices are simpler in format, but they can also be hiding extra costs. 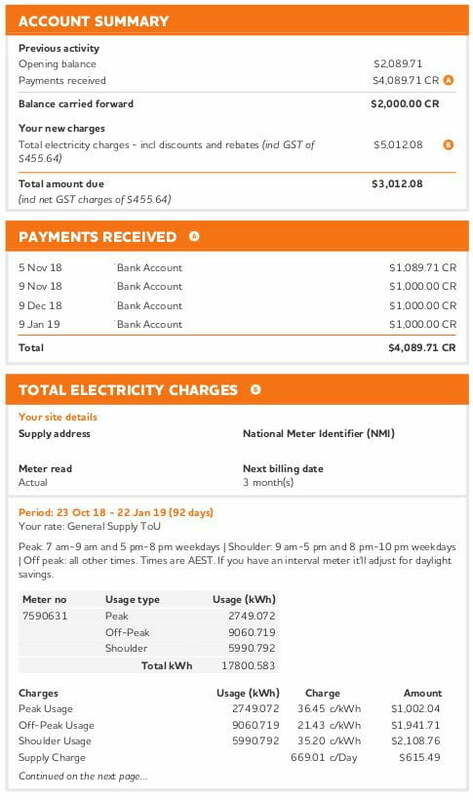 Meanwhile, unbundled invoices allow more scrutiny of different inclusions like direct metering fees, network charges, and market rates but they often come with high exit penalties and have less protection by the law. But knowing your type of invoice is just the first step. To actually start getting more savings, you’ll need the help of an energy cost-reduction expert like Leading Edge Energy. In fact, here’s how we helped a client resolve an overcharged electricity bill. The Port Campbell Hotel in Victoria spoke to Leading Edge Energy hoping to have their energy bill analysed for potential energy savings. After a thorough inspection of Port Campbell Hotel’s billing, we found that they had been put on the wrong default rates even though they had requested to be put on a small business plan with Origin Energy. Leading Edge Energy then opened a case against the retailer for overcharging the client and Port Campbell Hotel then received a $12,900 credit refund from Origin Energy. Leading Edge Energy analysed Port Campbell Hotel’s bill and we were able to establish that although Origin confirmed that the Port Campbell Hotel had signed up for the small business plan, they were actually put onto large business default rates which were 27.5c/kwh for peak, and 15c/kwh for off-peak, plus all other charges. As it had become apparent that Port Campbell Hotel had been put on the wrong default rates. Leading Edge Energy opened a case with Origin informing the retailer that our client had been paying more than they should. Acknowledging the error, Origin provided 13 months’ refund in credit. 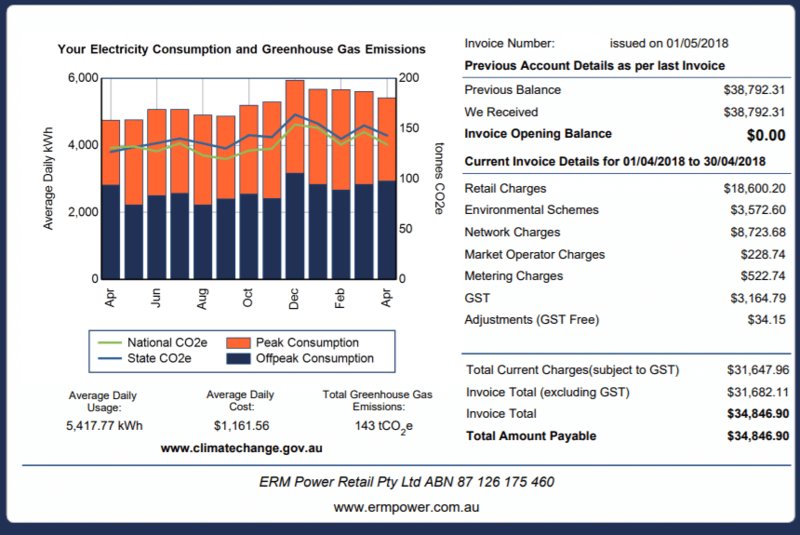 If you’re a small market customer – you can find out how you’re classified by checking out the Australian Energy Regulator(AER)’s Energy Made Easy website, the energy market is uncomplicated and more tightly-regulated than the market for large enterprises so your billing statement will reflect a simpler energy-use structure. For latest updates from the Dexterous Group in bookkeeping and accounting processes for your business. Residential and SME customers generally receive invoices in the bundled format. Here, rates are “bundled up” in simple Peak, Shoulder, Off-peak, Demand and Service charges, as you’ll see in the example above. In other words, what is normally broken-down into details in the unbundled format like network charges, environmental fees, etc., are hidden in a “bundle” and the final base rates end up more expensive. It should be noted that small market energy rates only change once annually, as opposed to the multiple rate fluctuations the large market may go through in a year, but discounts that come with it may vary from retailer to retailer. Unbundled invoices are comparatively more transparent than the bundled invoices which, as mentioned earlier, can be hiding some fees and charges. Unbundled bills offer more details about what the customer is paying for. Since these aren’t hidden or “bundled” in the final base rate, consumers who pay the unbundled bills will find that their rates are significantly cheaper than what’s offered to SMEs. This is because the other charges are kept separate but are still paid through the retailer who’s basically an intermediary for the client and energy generator. Once the bill is settled by the customer, all the outstanding charges will be paid by the retailer. Additionally, with the help of Leading Edge Energy’s expert analysis of energy billings and the advice we can give, C&I consumers can take steps to make their energy bills cheaper by going to tender with us and choosing a retailer that can give them a better price, purchasing renewable energy, or offsetting their carbon footprint, and other measures. Still need energy bill assistance to see if you’re being overcharged? Our Energy Management Consultants are experts at helping business owners like you make sense of your bill, secure better rates, and ensure everything that’s on your billing is accurate and valid – no more overcharging! Call us on tel: 1 300 852 770 or send us an email on info@leadingedgeenergy.com.au.